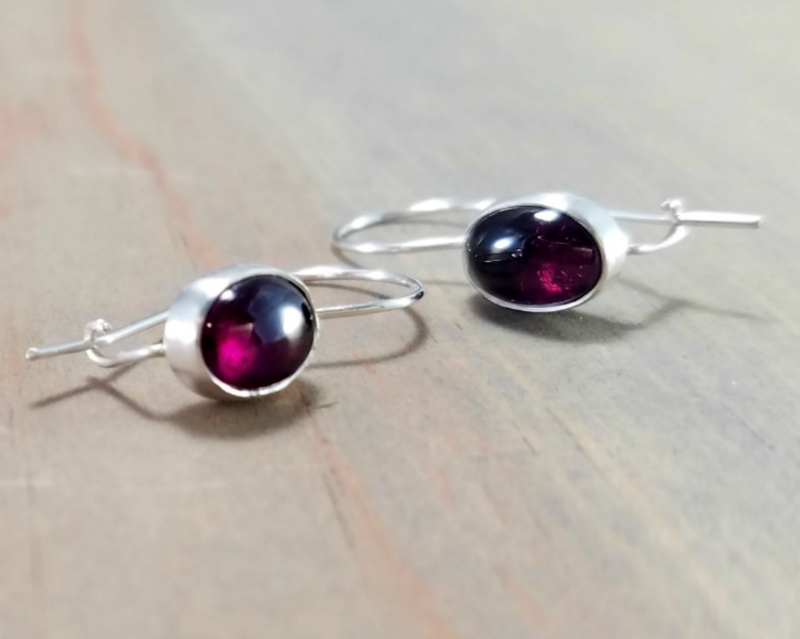 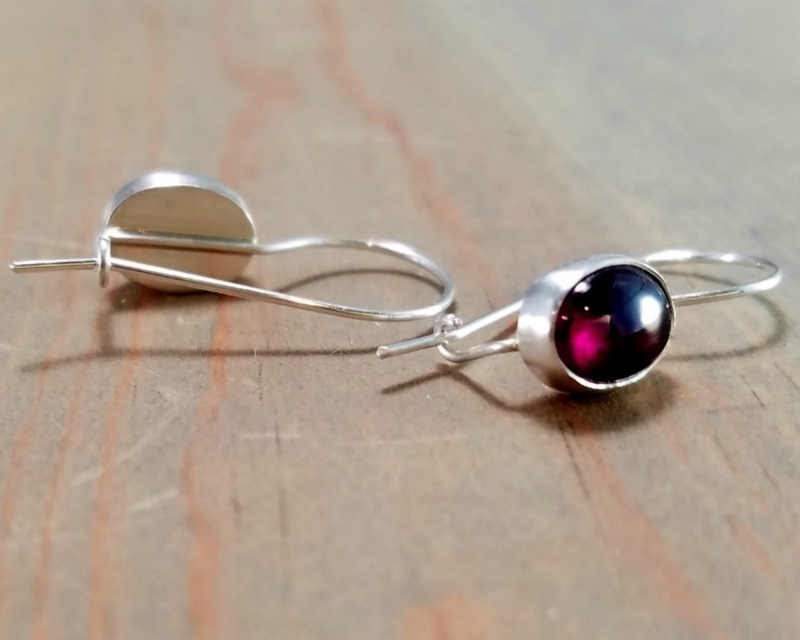 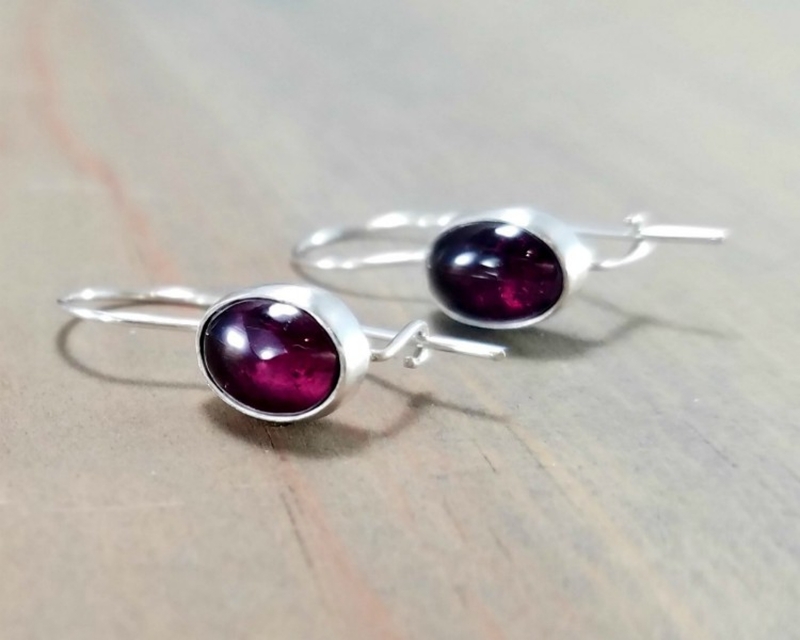 These classic lightweight garnet earrings with an oval stone and sterling silver kidney wire ear hook are very comfortable to wear. 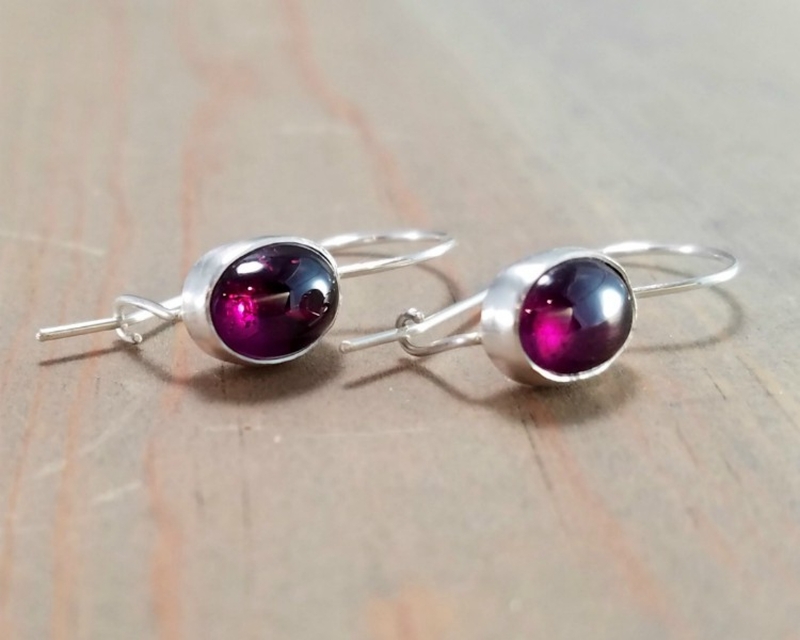 A great gift for a January birthday. 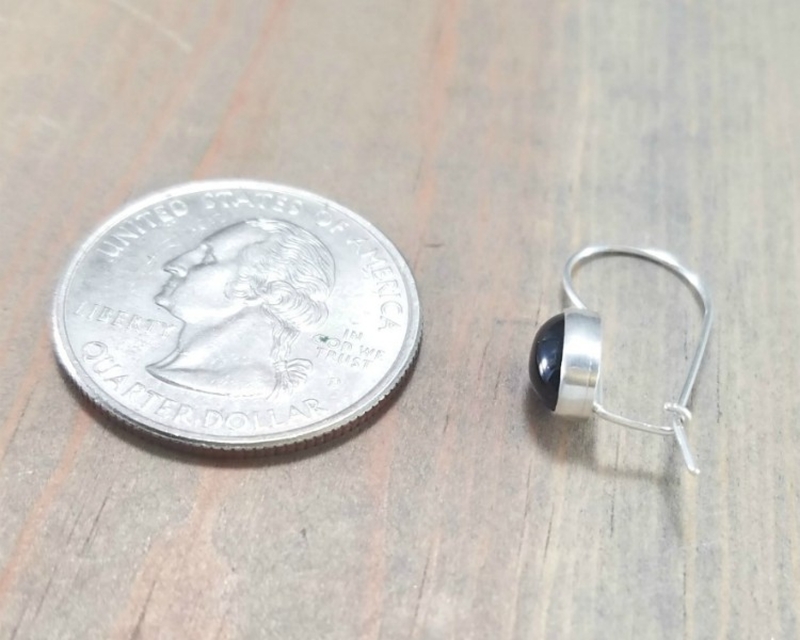 Distance from the top of the ear wire to the base of the bezel is approximately 22 mm or about 7/8 inch. 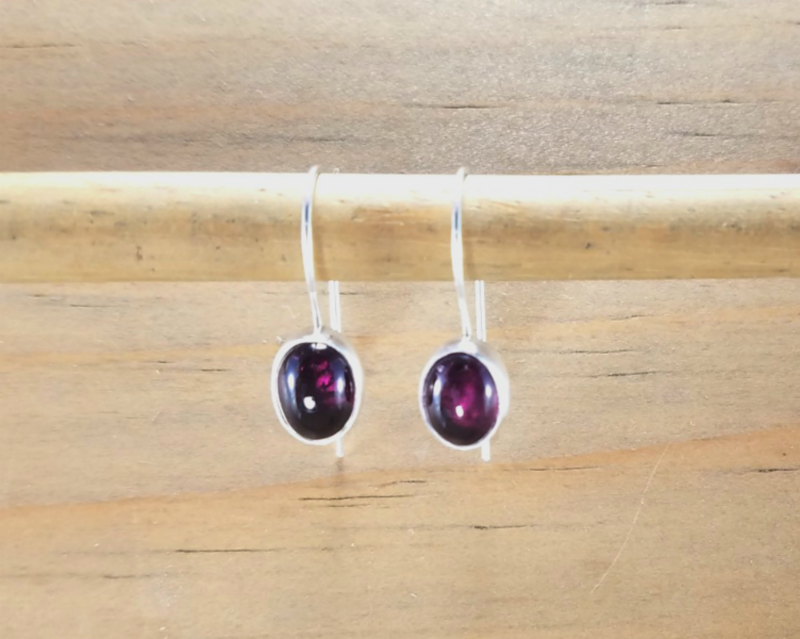 Each pair is handmade freeform so dimensions and stones may vary slightly but the pictures are representative of the pair I will make for you.